Having recently completed my first new build development, I wanted to share what I'd learnt along the way. I sat down to write a blow by blow account of what I had done and when, but then realized this was probably going to be quite a dull, though content rich, read! However, in starting to write that article, two themes kept recurring - Leverage and Network. These are familiar concepts in property investing - most would acknowledge the benefit of both, however, whilst some of the incidences of leverage and networking were the obvious ones - using a mortgage or finding a great solicitor - others were less obvious but equally important. This article therefore describes the project in the context of the various ways, some expected, some unexpected, that I used leverage and my network to get my first new build development project off the ground. I set out to transition my property business across to development during the course of 2013. Having set up my business in 2011, I cut my teeth renovating property for rental or resale, but as I gained experience and the market changed, making renovation projects harder to come by, I began to look out for properties with a plot of land that could be developed. 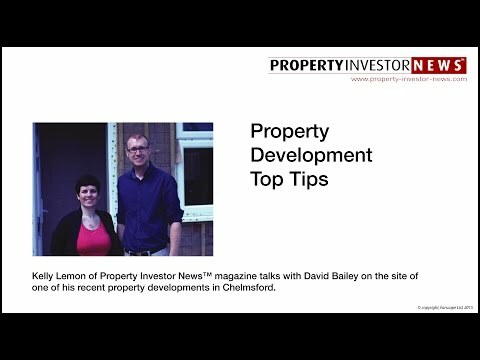 Not knowing much about the development process and having relatively modest resources, it seemed to me that buying a property with a plot, and then renting the property whilst achieving planning for new units was a relatively low risk way to procure my first development project. It also had the benefit of allowing me to use standard BTL finance to, effectively, buy a building plot, although of course it didn't become a building plot until I had planning permission. However, some judicious pre-planning advice obtained during the purchase process allowed me to have reasonable confidence of getting planning for two flats adjacent to the semi-detached house. The existing house would then become a mid-terrace once the flats were built.